A bright fuchsia pink flower with a fuzzy black center, much like a poppy flower. A great border plant! A nice cheerful welcome. Blooms for 4-6 weeks! 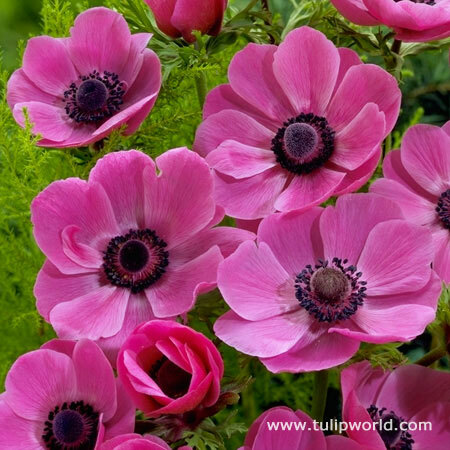 Anemones need good drainage or the bulbs will rot. Flower symbolizes unfading love and protection against evil.